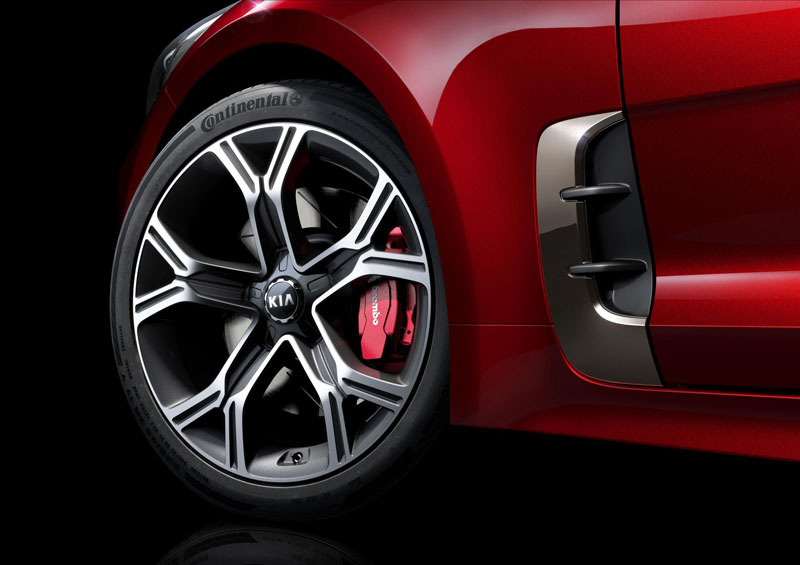 The new Kia Stinger, unveiled this week at the Detroit Motor Show, gives us further evidence that Kia’s new-found levels of confidence are being put to good use. 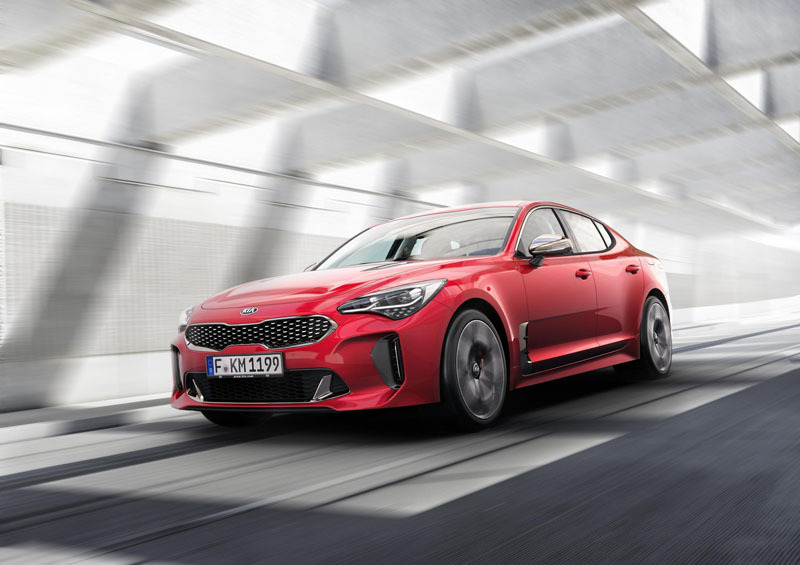 Although its US debut and saloon format may hint at a life destined to be spent stateside, the Stinger was actually designed in Europe by Peter Schreyer and his Frankfurt-based team. 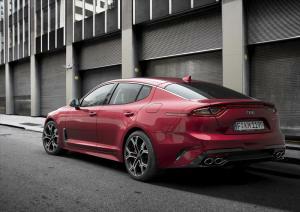 The company also says the Stinger will arrive in various markets around the world later in 2017, and we can’t help thinking that this, and the well-received Alfa Giulia, may mark the beginning of a resurgence of interest in the humble sports saloon. 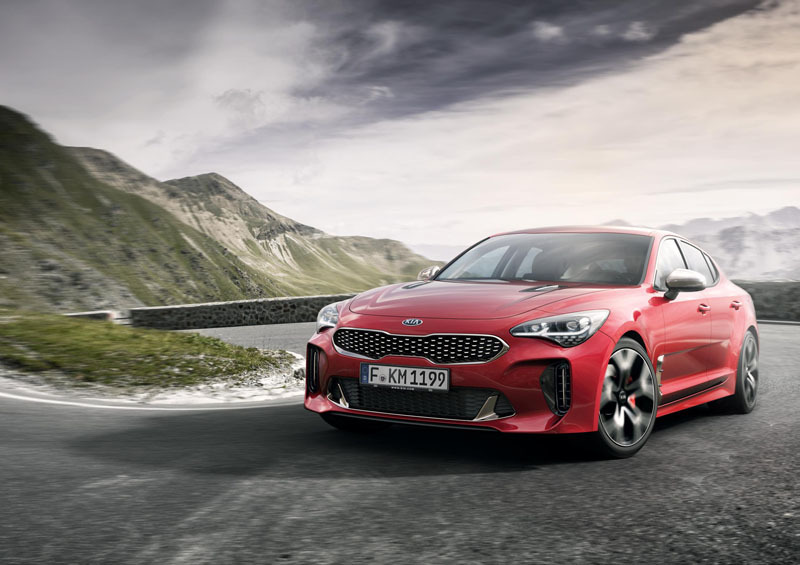 Some will inevitably draw comparisons with the German competition, an argument supported by the fact the Stinger’s chassis performance was honed at the Nurburgring by Albert Biermann who, until a couple of years ago, worked at BMW. However, in defining the Stinger project, Kia had actually set an interesting set of goals: rather than aim for balls-out performance and to hell with everything else, Kia instead chose to aim for nimble and fast, yet luxurious and quiet. To our mind, this makes the Stinger a far more real-world-friendly prospect than some of the competition – yes, it’s fast, but it’s also comfortable and practical. 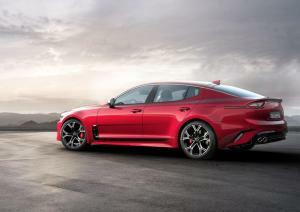 Of course, the Stinger’s headline news is that it’ll be powered by a 3.3-litre twin-turbo V6 which is expected to produce 365hp at 6,000rpm and 510Nm of torque from 1,300-4,500rpm. 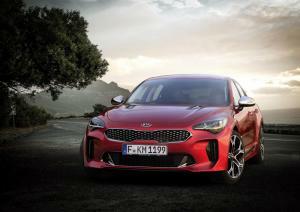 Although the power-plant is still under development, Kia is targeting a 0-62mph time of just 5.1 seconds and a top speed of 167mph. A more restrained choice of a 2.0-litre turbo four-cylinder unit with a still enticing 255hp and 352Nm of torque will also be available, as will a new 2.2-litre diesel for Europe that offers 197hp, 440Nm, and 0-62mph in 8.5 seconds. Drive is transmitted to the rear wheels (although an all-wheel-drive version will be available in some markets) via an in-house developed eight-speed automatic transmission that features a clever torque converter to reduce driveline vibrations. Rear-drive models get a proper mechanical limited-slip differential, while AWD versions get a full-on torque vectoring system. 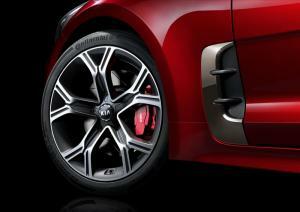 The high-power V6 also gets vented Brembo brakes all round. Suspension is by MacPherson front and multi-link rear together with electronically adjustable dampers, while the variable ratio power steering uses a rack-mounted assistance motor for greater feedback. 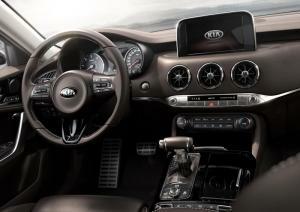 The precise configuration of these systems – throttle response, transmission shift patterns, suspension set-up and steering feel – can all be set through a choice of five driving modes: Personal, Eco, Sport, Comfort and Smart. Further gadgetry arrives in the form of an updated telematics system complete with a choice of a 15-speaker 720 watt Harmon/Kardon hifi that includes Clari-Fi to restore missing audio signals in compressed digital sources such as MP3s. There’s also a raft of driver aids such as Driver Attention Alert, Forward Collision Assistance, Autonomous Emergency Braking with pedestrian detection, Advanced Smart Cruise Control, Lane Keep Assist, and Rear Cross Traffic Alert. There’s even a colour head-up display for relaying speed, navigation guidance and other information to the driver, plus a wireless smartphone charging pad. All of this resides in a cabin that appears to make extensive use of high-quality materials, with soft Nappa leather for seats that feature inflatable air bladders, and restrained use of brushed metal trim. The Stinger’s wheelbase is longer than most of the competition, too, so we expect it to offer the same Tardis-like levels of passenger space that we experienced in the Optima. As for how much this will all cost, at the moment that’s anyone’s guess. 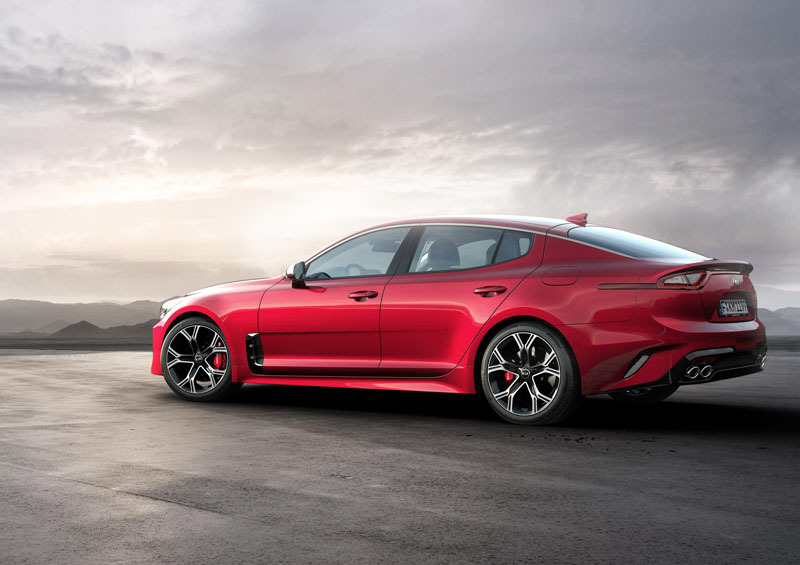 But on past performance from the newly-invigorated Kia, and after listening to the company’s description of the Stinger as a project that started life more as a dream than anything else, we can’t help but be excited by it. And I can’t remember the last time I said that about a saloon.